This is a set of optional black ST Racing Concepts Axial AX10 Aluminum Steering Knuckles for the Axial AX10 Scorpion Rock Crawler. 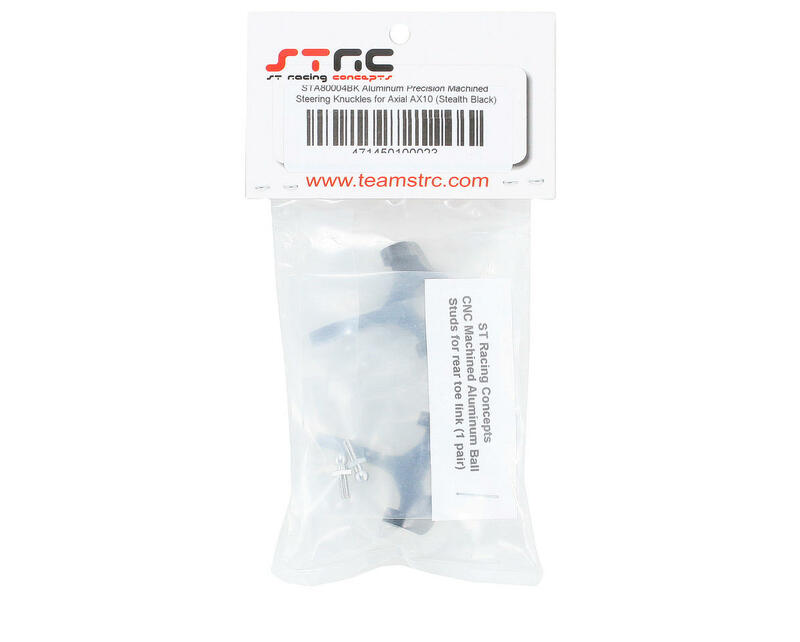 One of the most requested option parts from AX10 Scorpion owners is now available from ST Racing Concepts. 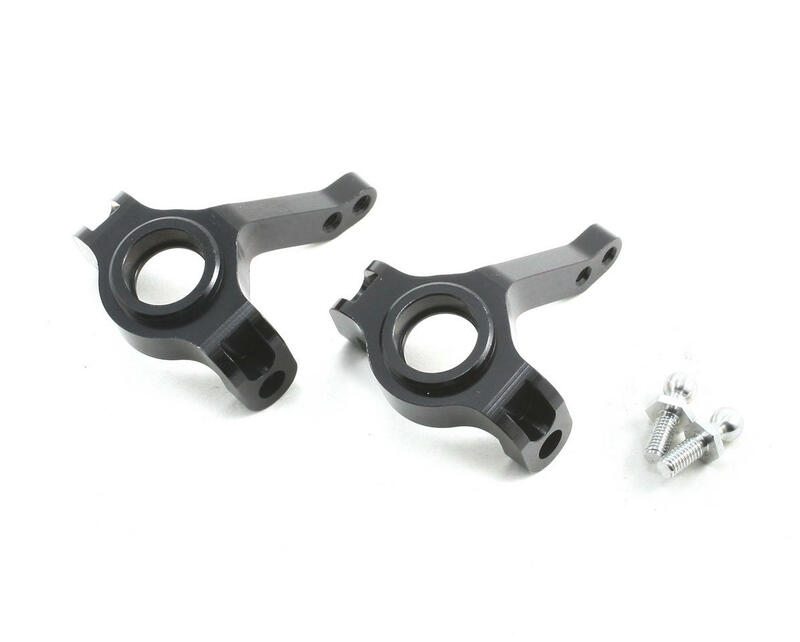 Machined out of high quality aluminum material, these precision steering knuckles offer great improvement in durability over the stock plastic pieces, while adding amazing look to your Axial Scorpion. Works with front or rear of the AX10 with included (not pictured) CNC machined aluminum rear link ball stud.